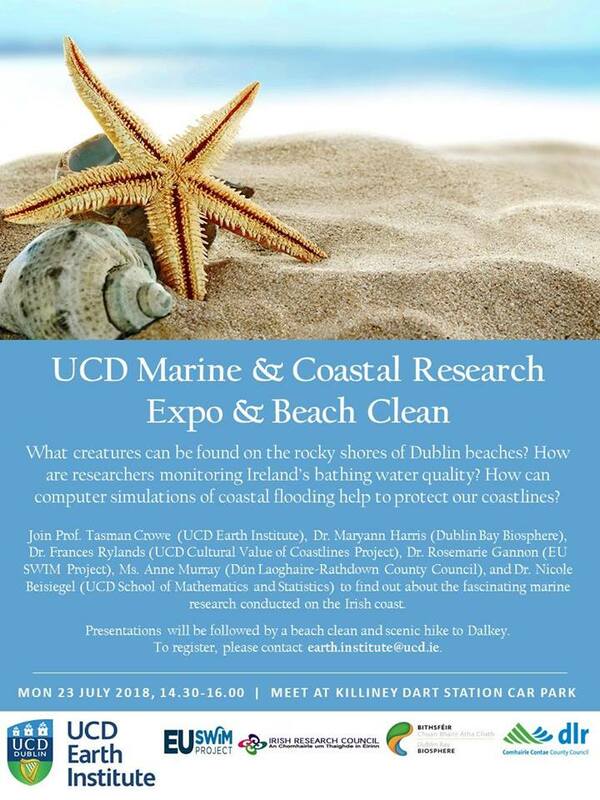 UCD Earth Institute is organising a marine and coastal research expo on Killiney Beach on Monday next, 23 July, from 2.30 to 4pm. 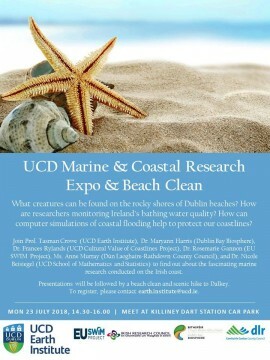 There will be presentations from researchers at UCD, the EU SWIM Project, Dublin Bay Biosphere, Dún Laoghaire-Rathdown County Council, and UCD’s Cultural Value of Coastlines research project. They will be followed by a beach clean. If you’re interested in joining in, e-mail earth.institute@ucd.ie for more information.